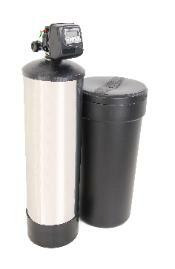 Compare The Pure Water Appliance To Any Softener You Were Thinking About Buying. They Can't Compete. Water Solutions Will Give You Clean, Soft Water. Your Home To Drink, Bathe In And Cook With. Americas #1 True Residential Water Treatment System. You Choose Salt Or No Salt At The Touch Of A Button! Built In 5 Micron Filter That Never Has To Be Replaced. Guaranteed No Parts To Be Replaced Or Filters To Change. Built To Your Specifications For Your Water. No Off The Shelf Machines. Turns City Water Into Bottle Water Quality. Turns Your Well Water Into Bottle Water Quality. Saves On Soaps And Cleaning. Reduces Spots On Shower Doors And Dishes. Good Quality Drinking Water Out Of Every Faucet. Metals, Sulfur And Iron. All This While Softening Your water. Plus A Built in 5 Micron Filter That Never Need Replacing. engineered to last not fail. They will serve you for a lifetime. Get Bottle Water From The Pure Water Appliance© The Ultimate Whole House Water Softener Treatment System.